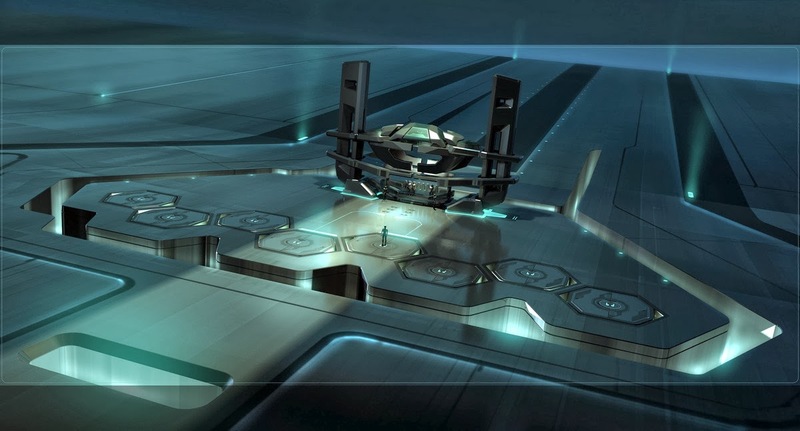 Check out Tron: Legacy concept art by Ben Procter! The movie Tron (1982) stands the test of time as a film that was ahead of it's time with stunning visuals created by artists like Moebius and Syd Mead. When Disney set out to make a sequel to Tron co-writer Brian Klugman noted the importance of the films visualsby saying, "It was remembered not only for story, but a visual style that nobody had ever used before. We are contemporizing it, taking ideas that were ahead of the curve and applying them to the present, and we feel the film has a chance to resonate to a younger audience." One of many skilled artists that brought the visuals of Tron into the modern age with Tron: Legacy is Ben Procter. He shared his designs for the film on his site BenProcter.com and I wanted to share some of the stunning examples. Procter is a professional illustrator who's worked on blockbuster movies like Avatar (2009), Superman Returns (2006) and Transformers: Revenge of the Fallen (2007). He credits Rob Johnson, Darren Gilford, Joe Hiura, Dave Scott, Ben Edelberg, David Levy and Dylan Cole in these designs. Make sure you head to Ben Procter's site BenProcter.com to see the rest of the design samples and his amazing portfolio. 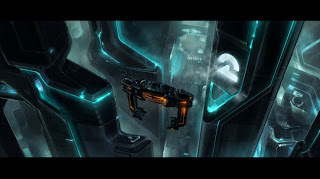 Click on the links if you want to see more of Ben Procter's work and Tron: Legacy on my blog. What do you think of the concept art? If you've seen Tron: Legacy what did you think? 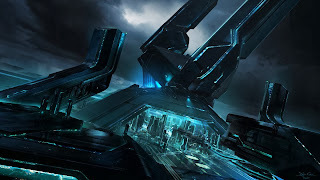 Immerse yourself in the digital world of Tron, as celebrated actor Jeff Bridges stars in a revolutionary visual effects adventure beyond imagination. When Flynn, the world's greatest video game creator, sends out a secret signal from an amazing digital realm, his son discovers the clue and embarks on a personal journey to save his long-lost father. With the help of the fearless female warrior Quorra, father and son venture through an incredible cyber universe and wage the ultimate battle of good versus evil. 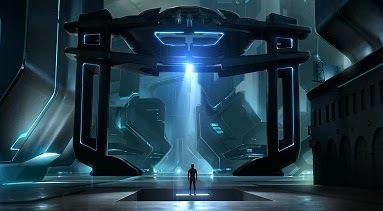 Tron Legacy is one of my favorite movies visually. Plus the Soundtrack by Daft Punk fits it perfectly. Forgot that Moebius contributed to the first one.